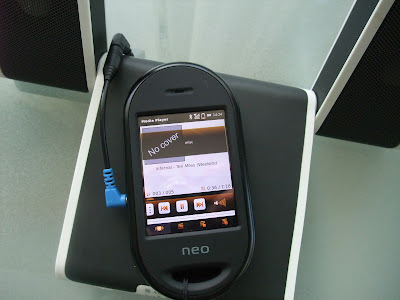 I received my Neo some time ago and have been playing on and off with it ever since. Granted, it's not end-user ready indeed and even more courageous people should be ready to do some heavy learning. 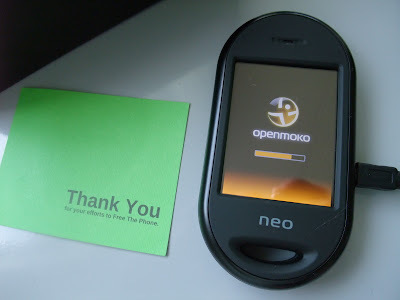 It's not that it wouldn't be mostly installing correct software and tweaking a few settings, but the fact that it's the first real phone using free software means there is a lot of low-level stuff that is being created along with Openmoko. Anyway, things have progressed, initial GPS issues were fixed by the great Openmoko kernel team and generally the community has found fixes for anything I've thought asking about. I have been trying to do my part in updating Openmoko Wiki with information I've found myself or on mailing lists, and I hope others will continue to do the same for everyone's benefit. I have also created a Finnish main page for the Openmoko project. Neo FreeRunner has its quirks and problems, especially as the current software task has been abandoned in favor of the new "ASU" stack, which of course isn't ready (and which will be replaced with FSO at some point...), but still: it now works for about all the stuff I've used phones before, and some new things like GPS and of course the total freedom to change anything anywhere in the software. It's an enormous promise, and I'm already getting delivered a lot of the good stuff. 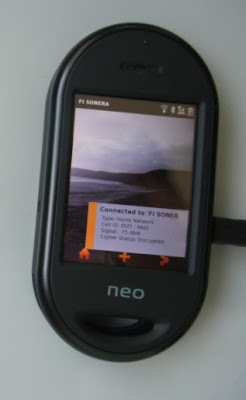 Yes, it has no 3G, as a proper chip suitable for a free driver implementation was not found in time, and the point was not to make yet another device full of compromises to users' freedoms. Everything else it probably has. Except for final software which it does not have, so please keep in mind this is still meant for developers at this point of time even though the hardware for this first device is now ready. It does work as a phone (calls, text messages, calendar) out of the box, though. And of course I've ordered mine already, as part of a group sale! Though now that we have European re-sellers, the benefit is not as great as the postage costs aren't too big anyway.